While Ironman distance triathlons are for sure a grueling sport for the participant the spectators must learn how to endure as well. Before Miss M was born Ryan participated in two full Ironman distance races. One when I was in marathon training myself and the other when we were 7 months pregnant. Long story short, I was extremely exhausted after the first race. I had to plan and prepare accordingly for the second, especially seeing how I was pregnant. Then, came along our baby. Ryan had an Ironman distance race when Miss M was only two months old and another when she was five months old. Again, I had to learn a new way of spectating- with a baby. I have come to realize there is one major hack when it comes to Ironman spectating with a baby. You must have several modes of transportation for you baby. Let me explain. At different times of the day or parts of the race different carriers may work better. Reclined Stroller: We opt in for this to start the day. This allows Miss M to sleep at the early morning starts. But this is a great option if you are going to be sticking around for awhile. The baby can enjoy the ride or recline for naps. Front and Back Carrier: I like using an Ergo if we are hopping out of the car just for a short bit to see him pass on the bike or run. This is also a good option if terrain is not ideal for strollers. This also works well for naps since baby loves to snuggle up. Stroller with Car Seat: Our reclining stroller also allows our car seat to attach to it. When it is getting late I put Miss M in her car seat and then in the stroller. This allows me to move her less when it is time to leave and get in the car. Crawling Area: Now that Miss M is on the move herself I know she is going to want to be a little more free rather than being in a carrier all day long. I just purchased this compact outdoor child play/sleep area called Peapod . Keep in mind with your baby being put in all these different carriers and the length of the day it is equally important to have a durable diaper. We typically cloth diaper expect at night and travel/races. With Miss M being at all different angels and squished in the front carrier we have had a few leak issues. Our cloth diapers just are not made for Ironman type days. You need to find a diaper that can last a little extra wear. Sometimes when you are on the clock of your racer a diaper change gets put off. At the last race I was about to change Miss M when Ryan came into sight. He needed something from the car. I went and got it for him and then ran with him for awhile (don’t worry the baby was with his mom). Instances like those are when you have to be confident in the diaper you use. 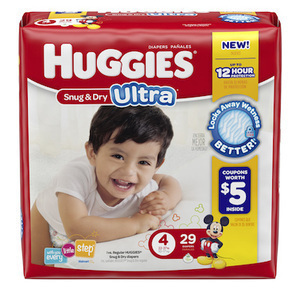 Huggies® Snug & Dry Ultra Diapers at Walmart.com passed our night test and will be coming along to our next Ironman race in a few weeks! When preparing for spectating at an Ironman race there are a lot of things to keep in mind (I will have to do another general post for that). But if you have a baby who will be spectating with you it is vital to have several modes of transporting the baby and having diapers that will withstand the long day. These things will make your day MUCH easier! What is a hack you use for race spectating with a baby?